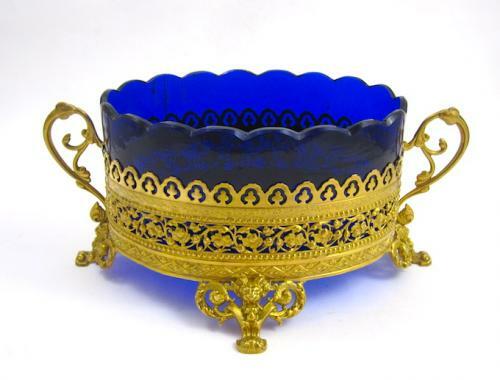 Napoleon III Dore Bronze and Blue Crystal Jardiniere. Decorated with Open Scroll Work and Foliage and Resting on 4 Foliate Feet. The Blue Crystal Line with Scalloped Edge.